Good morning! 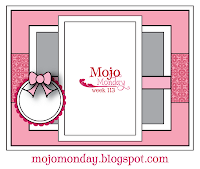 Once again, I was lucky enough to get my Mojo going early! My card base is Kraft with a Really Rust background that is wrapped in Chocolate Chip Striped Grosgrain Ribbon. The next panel was a leftover piece of Very Vanilla that is embossed using a Chocolate Chip "wiped" Harlequin Texturz Plate. I love the feel of this paper after the ink has dried! It makes the impressions deeper, I think. That panel is wrapped with a piece of twill. The last layer is a Brushed Copper piece of cardstock that frames the Very Vanilla with the Chocolate Chip sentiment and decorative leaf images. To one side, completing the sketch is one more Chocolate Chip leaf on Very Vanilla, surrounded by a circle of Chocolate Chip cardstock and fisnished with a knot of linen thread. All supplies Stampin' Up! 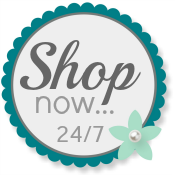 To order your supplies with me, please use my website. Please leave a comment, I love reading them all! Oooh, your card is so pretty, Patti! I really love it. Great card Patti! So elegant! Man Patti you are always on the ball on Mondays! Great job! Wonderful job with the challenge! I love the color combination and I your wiping technique is awesome! Great job! Just beautiful! Great sympathe cards! What a rich and elegant card! I love the metallic paper and the patterns! That "wiped" texture is just awesome! Ok, enough! I am going to try it! I love the way that looks!